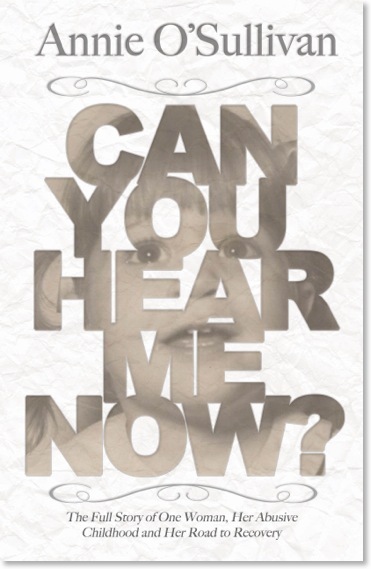 Annie O’Sullivan’s Can You Hear Me Now is a haunting story that I will never forget. This story of a little girl and the abuse she suffered is heartbreaking. I like that the story was told in the present tense, as if everything is happening right now. As the reader, I felt like I was walking on Annie’s journey with her. It made the story even more compelling because I could see each action and feel her emotions as if I was there with her. Annie is very brave to have written such a personal and powerful story about her life and the abuse she suffered by the hands of her father. The courage and commitment to picking her life up and standing up against child abuse is amazing and admirable. I truly enjoyed reading about Annie’s survival. It is encouraging to me to learn about what it took for her to get to where she is today. Although this story is hard to read in some parts because Annie does not dumb down or minimize the abuse that she suffered, it is an incredible story because it is a true story about a courageous person. There is a lot that we can take from Annie’s story. One thing I was able to take from her story is the encouragement to speak up and speak out about child abuse. If you know someone who is suffering, or someone has suffered and is afraid to speak out, encourage them to. Can You Hear Me Now is about speaking up and speaking loudly. Bravo Annie, for your courage and strength in speaking up and telling your story! I hear you. We all do.